The home meal replacement is still growing in supermarket and convenience store.Those businesses are also taking market share from traditional QSR business. In additional, it was reported that Starbucks same store sales increased by more than 3% recently (from NRN.com), so if you are a F&B retailer in Singapore, are you enjoying such growth? So, what can digital marketing do for a F&B business such as yours? 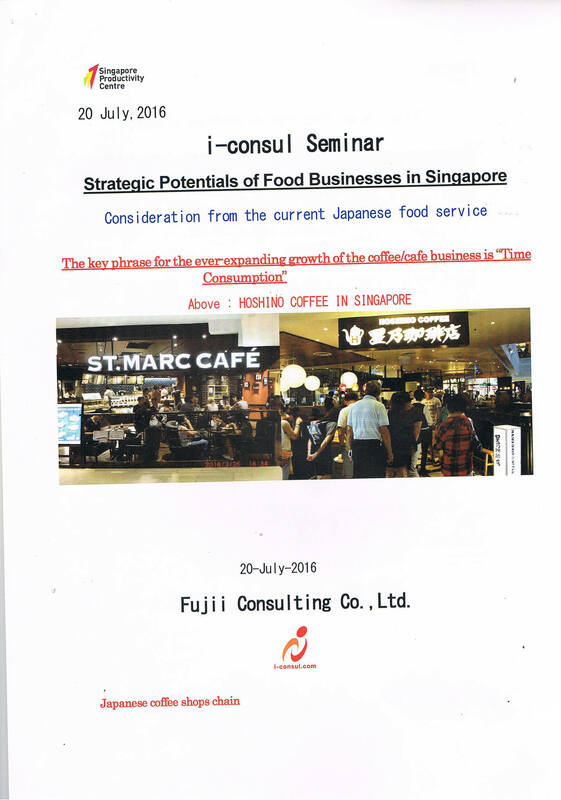 In this seminar, we are pleased to have Mr Jotaro Fujii talk about the recent fast casual brands which are serving very fresh food and introducing mobile application which works very well to customer demand. 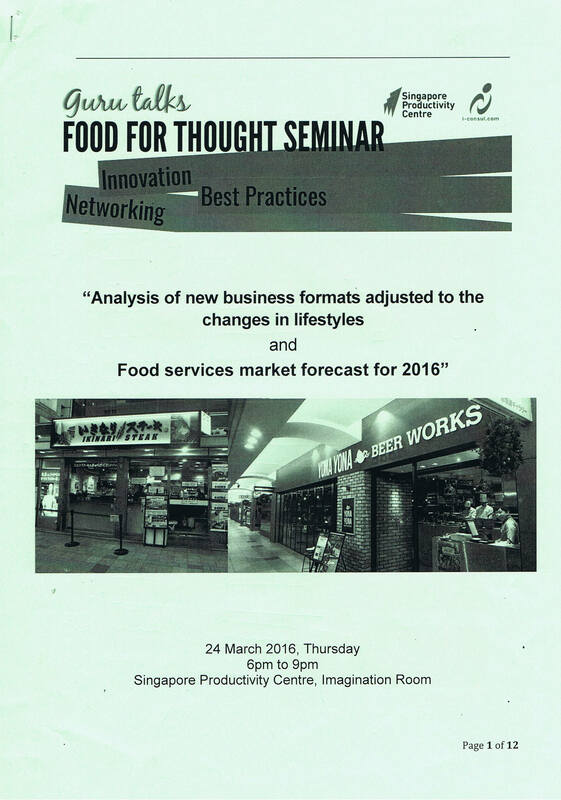 Mr Ebenezer Heng will be sharing on digital marketing for Food services. Join us for a night of speciality wine and various pairings! The Future of Convenience Stores: Aggressively Pursuing Eat-In Business by Adding Fast Food and Seating Areas. As the market for ready-to-eat food increases year by year, it is important to note that one major difference between convenience stores and restaurants is the presence of seats and eating areas. As a result, an intense competition has developed between stores selling ready-to-eat food and restaurants. Ready-to-eat food is mostly sold at convenience stores, supermarkets and department stores. 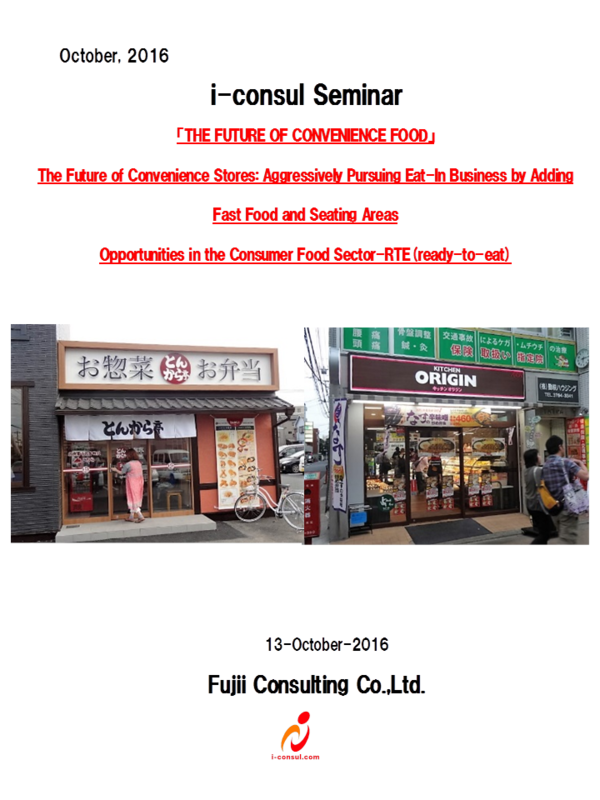 Using examples of two Japanese enterprises for reference, we will examine the current “hybrid” situation of convenience stores, department stores and supermarkets adding seats and eating areas. We will consider the direction of this new segment of the foodservice industry, and consider various problems that may arise. The demand for cafes and coffee shops in Japan continues to grow with similar growth patterns found here in Singapore, for both self-service and full-service stores. The key phrase for driving this ever-expanding growth can be further evaluated as “Value Add Preposition”. 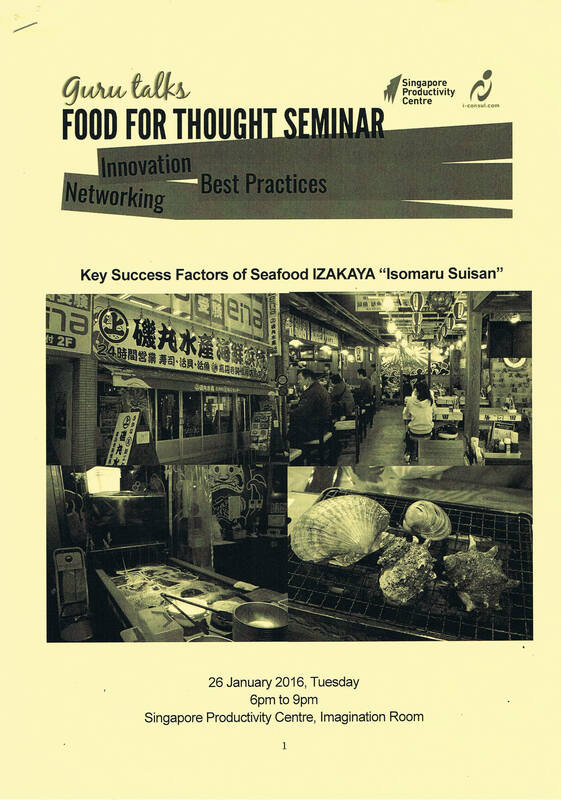 The lecture will give insights to the future direction of the food and restaurant business in Singapore. Strategic learnings from evolving food businesses in 2016, pushing forward 5 years into 2021.